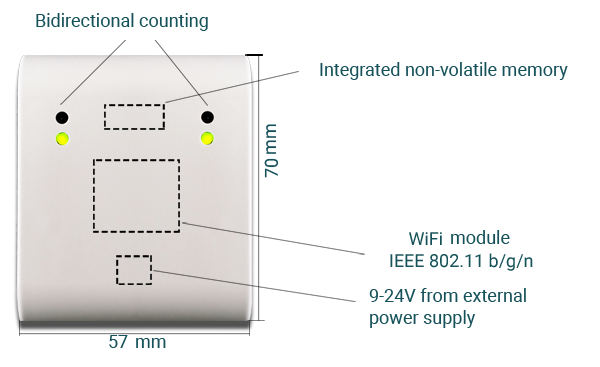 WF-220 is a bidirectional system of count of visitors with a supply from thestationary power supply, possibility of data transfer through the Wi-fi network, without connection to the PC. The system of people counting WF-210 is a standalone and compact solution. 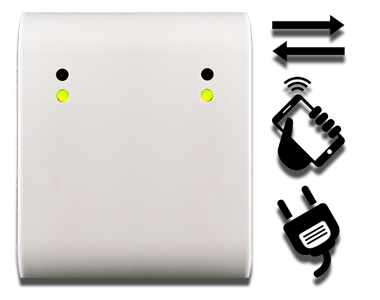 The device is equipped with a non-volatile memory for offline data storage statistics. Statistics data are stored in a central database of MySQL server. Transmission of statistics to a central database carried via a Wi-Fi network. Further analysis and processing of data about the statistics is produced by a dedicated website. The main advantages of this system are the autonomy and ease of installation. No need to lay the cable and connect the counters to the PC, there is no binding to a single computer as the visitor statistics can be viewed from any computer connected to the Internet. For those who want to import the data of the statistics in their own software has the ability to automatically export data from the statistics website.